I change my nail paint very often and I don’t like the liquid nail polish removers as they are quite messy. 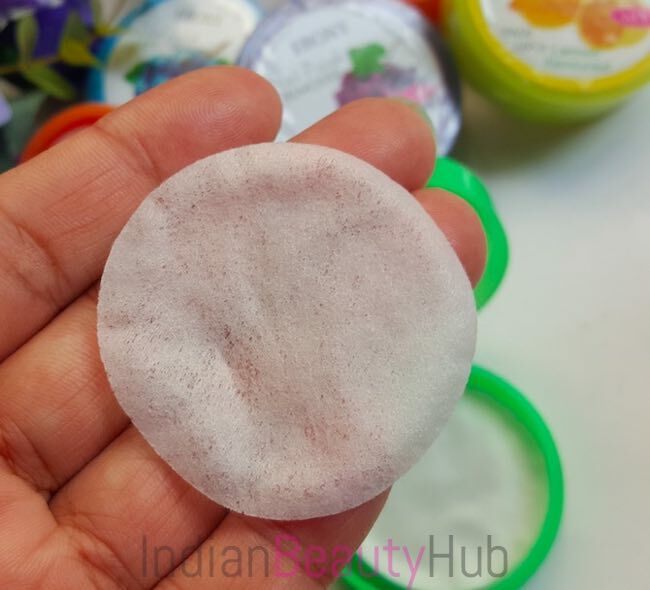 I prefer using nail polish remover pads or wipes as these are completely hassle free and convenient to use. 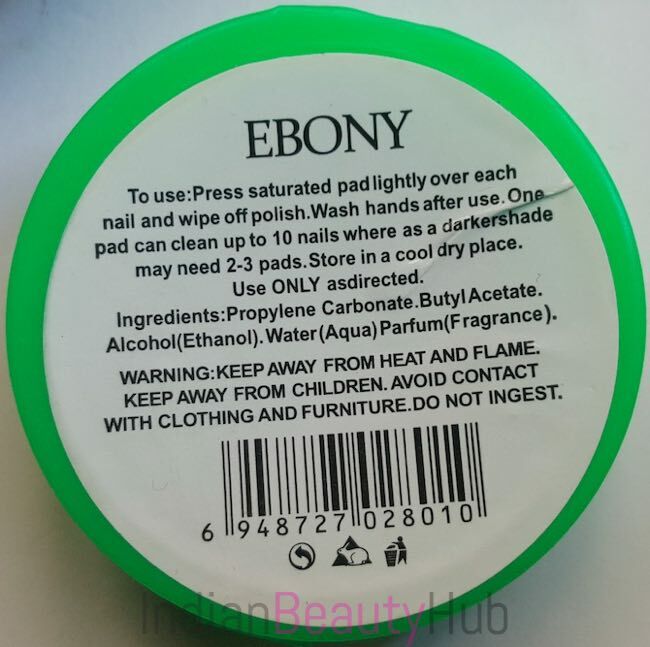 So today I’m going to review the Ebony Nail Polish Remover Pads which I bought online. 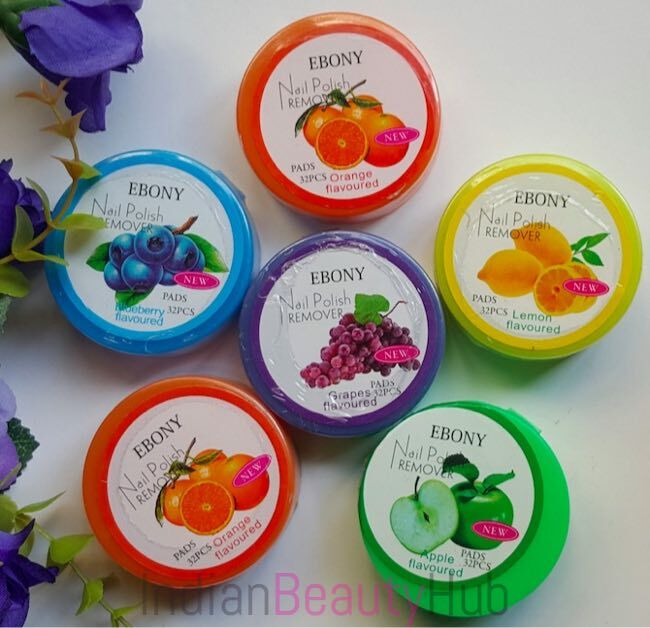 The price of the Ebony Nail Polish Remover Pads is around Rs.300. I have already reviewed the Bare Essentials Nail Paint Remover Wipes. 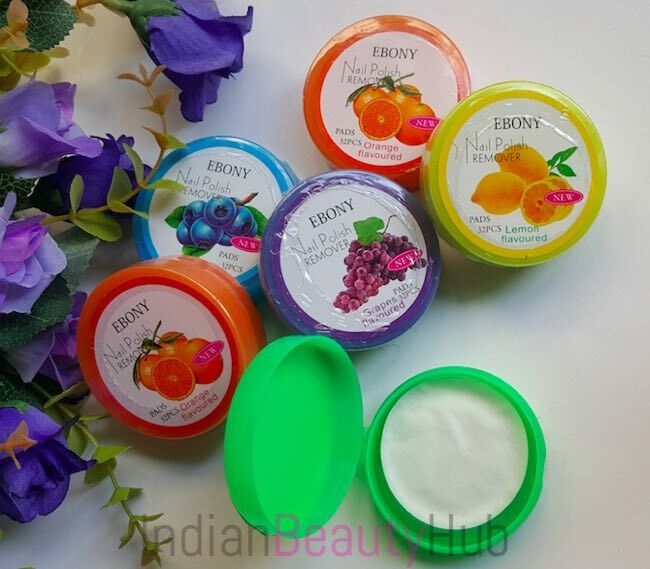 Efficacy: Ebony Nail Polish Remover Pads come in colorful round plastic case with a flip-open cap. 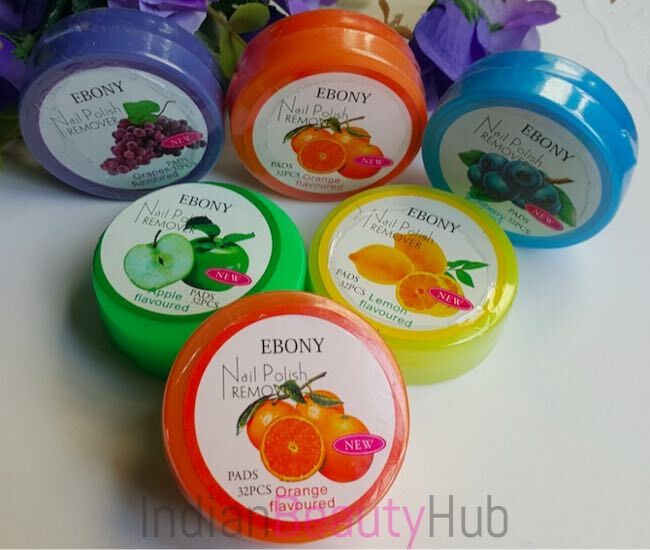 You can choose from a range of different fruity flavors. 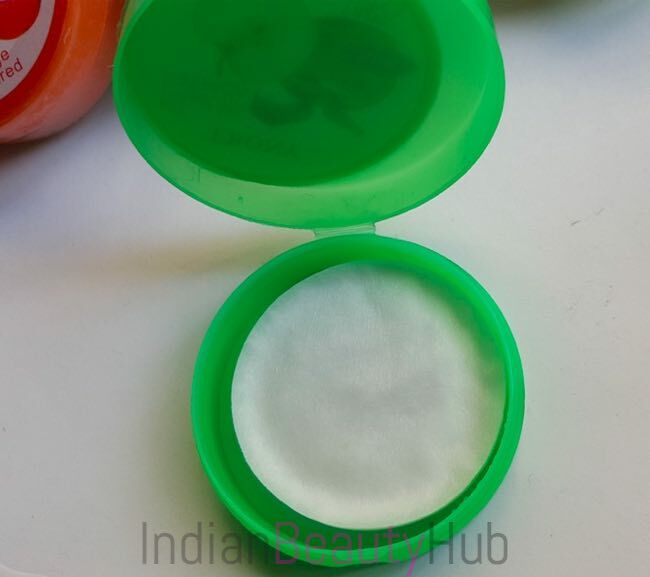 Each pack contains 32 round wipes that are made of very soft material. These pads have strong fruity fragrance. The wipes clean away nail polish from nails very nicely without any problem. Just place the wipe on the nail, press it for a few seconds and wipe out the nail polish. Single wipe is good enough for removing nail paint from all 10 fingers. 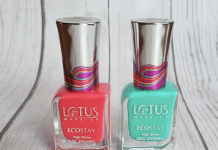 But if you have applied multiple coats or some darker shade then you might need 2-3 wiped to remove the nail paint completely. 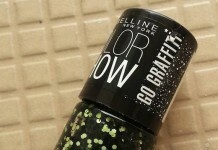 Compact size, you can easily carry it in your purse or makeup kit. Quite long lasting, 1 pack will easily last for up to 20 usages. Very hygienic and convenient to use. The nails and cuticles feel a little dry after its usage. These have strong artificial fragrance. Availability might be an issue (not easily available at local stores). A little expensive than liquid nail polish remover. 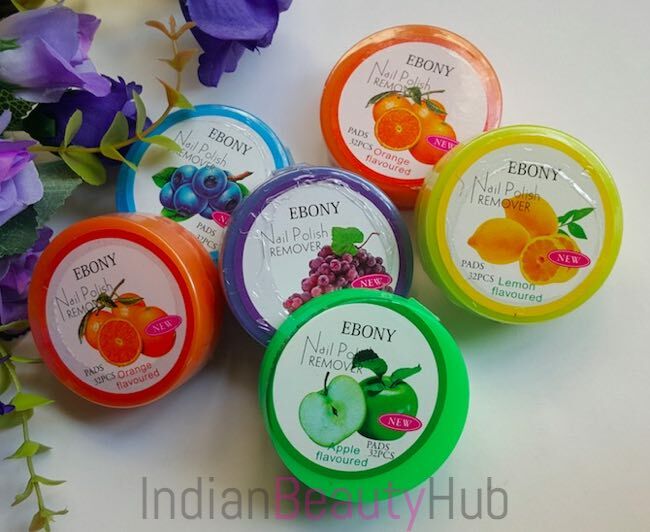 Overall I liked Ebony Nail Polish Remover Pads as they make nail paint removal very easy and fuss-free. There are so many brands that offer these nail polish remover pads/wipes at a reasonable price.